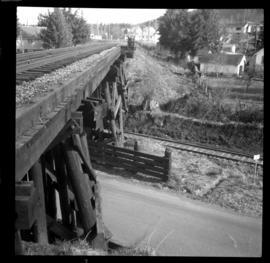 Photograph depicts the CNR track crossing over the CPR track in Lake Cowichan. CNR rails in this area are stamped "Illinois 1919." 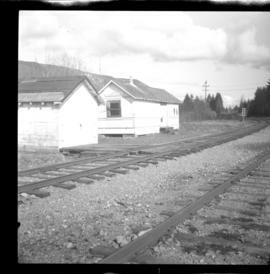 Photograph depicts the CNR depot in Lake Cowichan. CNR rails at this point are stamped "Illinois 1919." 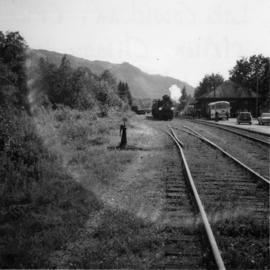 Photograph depicts climax locomotive #10, belonging to Hillcrest Lumber Company Ltd., Mesachie Lake.